Almost a couple years ago now, in October of 2015, I met a Titan, or as some of my French friends call him, a god on earth, Alain Dominique Perrin. A man who helped turn the fortunes of Cartier around and also led the Richemont group, which is considered to be one of the largest luxury goods groups in the world. But for me, the most intriguing reason to meet Alain was his commitment to helping artists, both established and emerging, with the Cartier Foundation for Contemporary Art, in Paris, as well as his connection to the labels for his flagship wine from his Château Lagrézette estate. 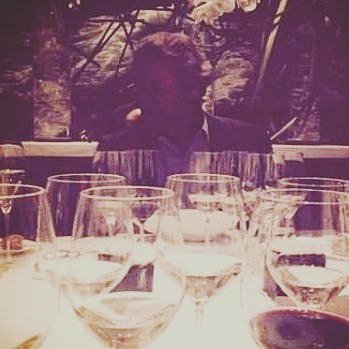 I did not know what to expect during my dinner with him, tasting some of his wines, and even then, the unexpected happened that night. In 1980, Alain bought Château Lagrézette, a 12th century fortified house in Cahors, in Southwest France. As a man who appreciates beauty as well as history, he took on the enormous task of restoring the medieval architecture and the Renaissance ornamentation throughout the property. Once he learned that the property included vineyards that had historical importance, he realized that part of bringing the property back to its former glory would involve him becoming a wine producer. As a wise man, he knew the best thing to do was to hire the best in a particular field and trust their opinion. And so he hired world famous soil expert Claude Bourguignon to advise him where to plant vines and which ones to plant. Surprisingly, Claude said to plant Viognier in certain areas, a variety that is known to make its home in the Northern Rhône in France, not the Southwest. Then when it came to the winemaking Alain turned to his longtime friend, who just happens to be one of the most famous consulting enologists in the world, Michel Rolland. Together Alain, Michel and his managing director, Claude Boudamani, devised a plan to renovate their cellar after rigorous review in 2011. Currently, their state of the art cellar includes such goodies as micro-sized, robotic, stainless steel wagons to swiftly carry the grapes from the sorting table to the tanks. 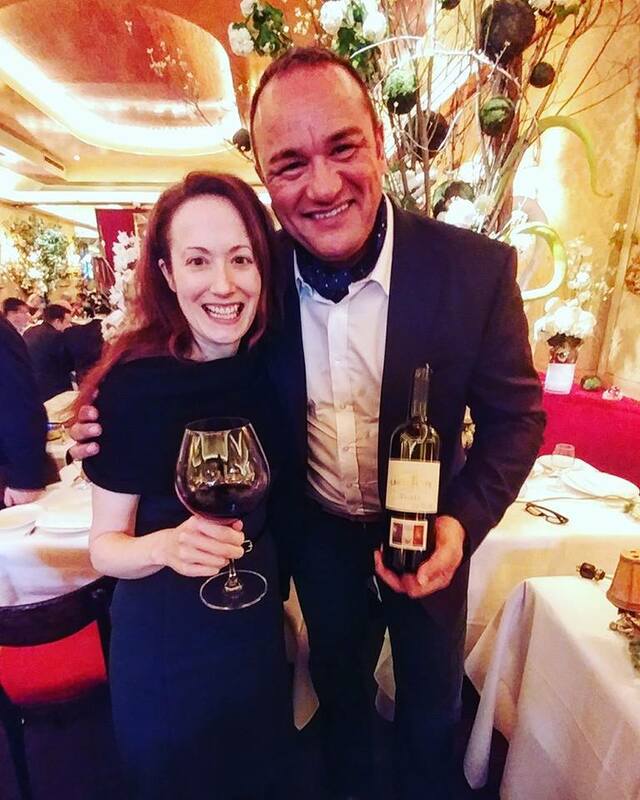 When I arrived at Le Bernardin for our dinner in 2015, I knew that the wines were going to be special because of all the information I had read about Alain’s incredible commitment to making great wine in Cahors. But I thought it was only going to be a pleasantly formal night at a fine dining restaurant, with a human being who had a remarkable resume; it was not going to be a conducive atmosphere to get to know the inner soul of Alain Dominique Perrin. Well, that evening, I got to know the man, his spirit, and his heart. Our conversations ranged from the movie American Sniper, and how he said he could not stop thinking about the horrible moral dilemma of the lead character, to him being close friends with one of the owners of Le Bernardin and remembering how heart breaking it was for her to lose her brother, Chef and co-owner at the time with his sister. Alain said he realized that she lost her partner and picked up the phone and told her to come to Paris to see him so she did not need to be alone. Halfway through the night, the owner of the restaurant, his friend, sat right next to him to have a private conversation. She had come to the restaurant late and seemed to be having a stressful night… but I could see the closeness between her and Alain… you could tell that she had leaned on him as a friend, and he, being the tower of strength that he was, was able to be there for her in a time of need. Around a month ago, in the magical garden-like ambiance of La Grenouille, with managing director of Château Lagrézette, Claude Boudamani and a couple of other colleagues, I found myself thinking about Alain Dominique Perrin and how he was much more than I could have imagined. 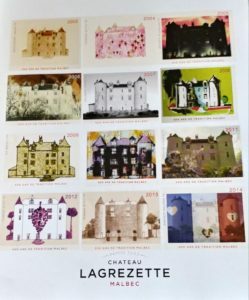 We had a good group of open hearted people escaping from the rainy day to share a lovely meal and to re-taste the Château Lagrézette wines. It was wonderful to see Claude again and to revisit our enchanting dinner at Le Bernardin, as well as making new memories that day. I remember that Claude’s story was one of modest beginnings, such as mine, working his way to eventually become the vice president of Château Haut-Brion and now working for a man who allows him to shoot for the stars. Although Alain Dominique Perrin was not there at our La Grenouille lunch, I could feel his spirit and it was perfectly represented by the Mon Vin wine we tasted that day… a wine made in secrecy from Alain, that would represent his intrinsic qualities that nourishes and firmly supports those around him… from a struggling artist on the street to a world renowned expert, Alain appreciates the inner life of a person that goes beyond their pedigree. He is the Titan we need today… whose powerful presence can only be matched by his capacity for compassion. –2014 Le Pigeonnier Viognier, “White Vision”, Rocamadour Single Vineyard: 100% Viognier from a 2.5 acre (6 hectares) single-vineyard located in the Côte du Lot with extremely low yields – around 25 hl/ha. Soil is Kimmeridgian like in Chablis. This wine had intoxicating layers of exotic spice and floral notes that had a nice amount of flesh on the palate with lively acidity giving it a lift at the end. 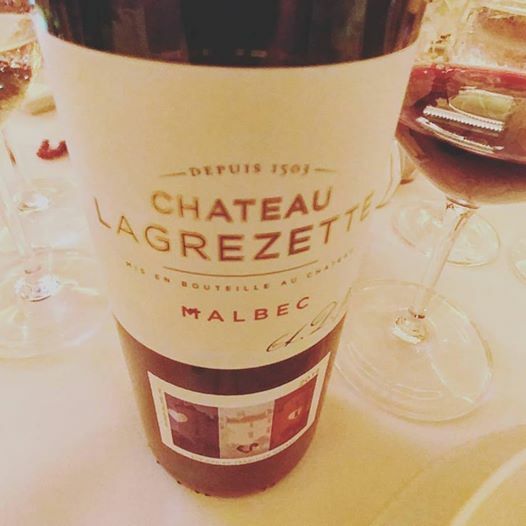 –2014 Château Lagrézette Malbec: 87% Malbec, 12% Merlot and 1% Tannat sourced from 30-year-old estate vines on the clay/limestone second and third terraces of the Lot River. Each year Alain Dominique Perrin commissions a young artist to design a different label featuring Château Lagrézette – 25-years worth of labels now exist. The 2014 was designed by Agathe Gonard and was inspired by the tragic bombings in Paris in November of 2015. This 2014 of their flagship wine has juicy plumy fruit and a medium body with charming underbrush, hints of rosemary and the well-integrated oak is hinted by subtle spice that dances across the finish. 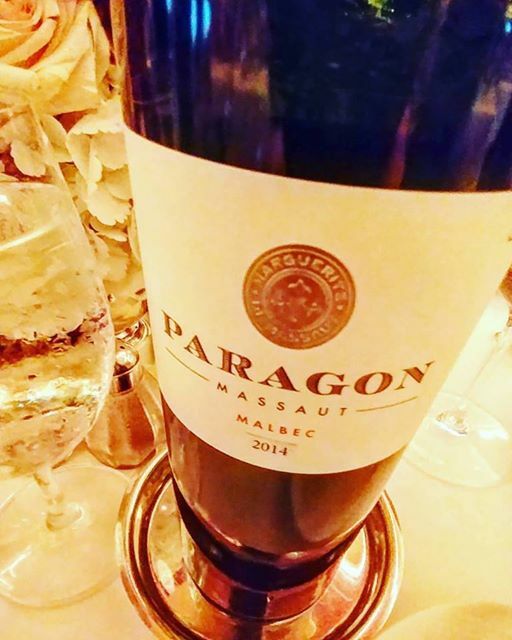 -2014 Paragon Massaut Malbec, Clos Marguerite Single Vineyard: 100% Malbec from the 3rd terrace above the Lot River. Ancient trees surround the vines creating a “Clos” (enclosed vineyard). An opaque color with enchanting aromas of jam covered toast, damson and tobacco leaf. A full bodied wine that has an elegant shape with firm yet polished tannins. In Château Lagrézette, there is a carving of Marguerite, Dame de Lagrézette – the person whom the vineyard is named after. It is said that though men built Château Lagrézette, it was women who had given the château its soul. -Mon Vin: 100% Malbec from the top selection from 2014-2017 vintages. 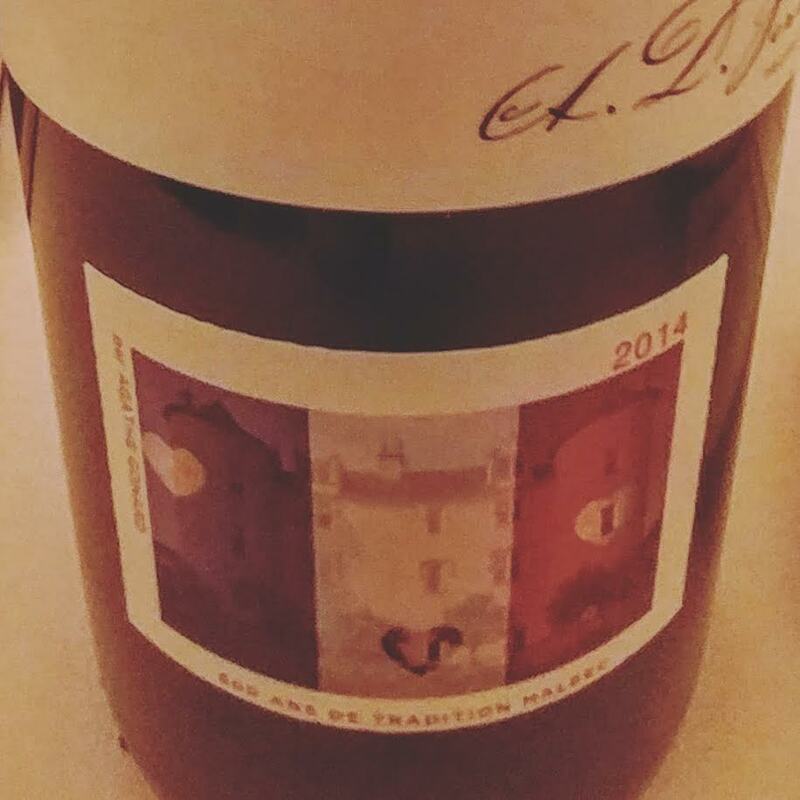 This is a bottle that was made in secret, hidden from Alain Dominique Perrin, by Claude Boudamani, his managing director and enologist, and his good friend Michel Rolland, consulting enologist. They wanted to create a wine that would express Perrin himself, and as someone who has only met him once, I have to say that I think they did a good job. A complex bouquet of violets, vanilla bean and truffles that had plenty of sweet blueberry fruit with hints of pencil lead and wild herbs that were generous yet profound, rich yet dignified and powerful yet nurturing, finished with a seamlessly textured body. They decided on a unique bottle for this special wine but could not come up with a name, so Claude told Alain about the wine made in secret and that it was supposed to be a wine that represented Alain himself… well, of course this revelation surprised Alain, who started to ask, “Mon Vin?” and so they decided that that would be the name. A beautiful gift to a man who has given so much to the world. –2015 Merveille de Lilas, Viognier Noble Rot Sweet Wine: 100% Viognier from their Merveille vineyard that has clay and limestone in the soil. This was an experiment allowing some of the Viognier to receive noble rot (botrytis) and making a sweet wine. It was absolutely delicious and a rare treat with aromas of peach cobbler, baking spice and mandarin peel with only a hint of enticing perfume on the finish. It has a viscous body that offered a bright acidity at the end. This may be the last time they make a sweet Viognier as Claude Boudamani, managing director and enologist, said it would be too difficult to guarantee the high quality they would want year after year as the vineyard is not ideal for encouraging botrytis. This entry was posted in Uncategorized and tagged Alain Dominique Perrin, Art, Artists, Château Lagrézette, Compassion, France, French Red Wine, French White Wine, French Wine, Lagrezette, Malbec, Michel Rolland, South West France, Viognier, Wine, Winetasting. Bookmark the permalink.